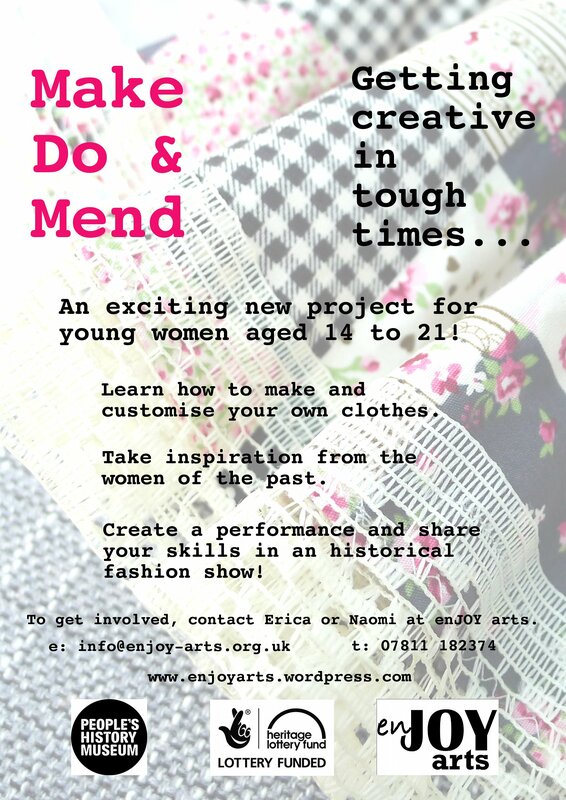 We’re looking forward to starting ‘Make Do & Mend’ in January – if you’re interested in getting involved, don’t hesitate to get in touch! This entry was posted in News and tagged applied theatre, community, education, girl's project, girls, heritage, international women's day, north west, performance, young people, young women by enjoyarts. Bookmark the permalink.